I just received notification that my consignment of the Batom Comic covers being entered into the 2017 November 16-17 Comics Signature Auction scheduled to take place in Beverly Hills. 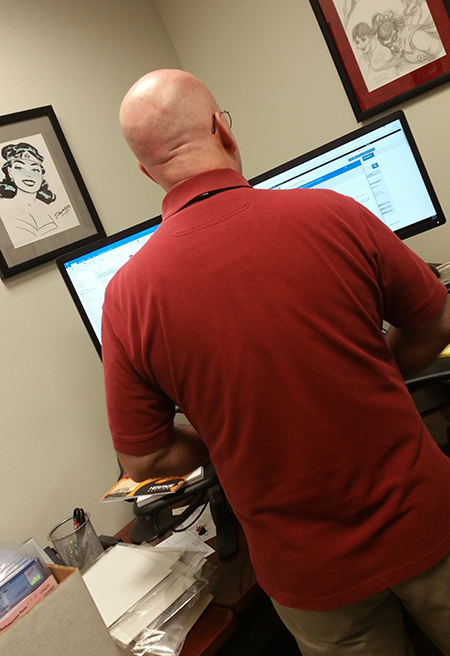 Pictured above, a Heritage Auctions grader and consignment director works on entering lots into the Heritage system. For more information on the auction and to see the Batom Comics covers revealed so far, just click on the Gallery section on this site.